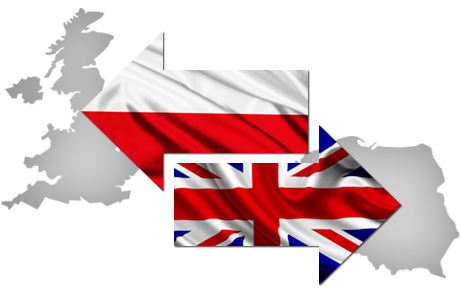 The British Embassy in Warsaw are hosting a ‘community connect’ meeting, #BritsinPoland on Tuesday 28th November, for British nationals in Poland to discuss Brexit. The ‘Community Connect’ event, described as – ‘British nationals in Poland – let’s talk about what matters TO YOU!’ – is intended as an opportunity to ‘meet the Ambassador and other high-level officials from different government departments; discuss the UK’s exit from the European Union; get the most recent updates on citizens’ rights; stay in touch with other Brits in Poland’. The meeting is free, however registration for the event, is now closed as tickets are sold out. The embassy offered support for people intending to travel to Warsaw, however they also acknowledge that many will be unable to travel to Warsaw mid week, and have received a number of requests to repeat the event in Kraków and elsewhere across Poland. They responded; ‘If we see that there is demand for more similar meetings, we will take it into consideration. Additionally the event will not be available online or via ‘livestream’ as the organisers would like, “‘all participants and guests to feel comfortable sharing information and concerns (especially given the sensitivity of the topic). This policy also applied to other similar events for the Polish community in the UK, and it allowed a more free and open discussion”. We also offered to film the event for the benefit of those unable to attend, and likewise our offer was politely declined on the same grounds. Kraków Expats Directory will be attending the event and are also taking the opportunity to arrange meetings with key embassy staff. We will certainly report back to interested or concerned UK Expats in Kraków, on the information, advice and any outcomes from the meeting. Brexit is hugely important, it is causing a great deal of uncertainty for individuals, families and of course businesses (not to mention politicians !). It’s difficult to avoid any political comment or opinion on the shambles which is Brexit, and the all too apparent difficulties and challenges in these early negotiation stages, let alone when the real impact of Brexit begins to hit. We have read online, and received many comments, that HM Government in UK and the EU side don’t have many/any? answers to the questions and concerns of UK citizens in Poland and elsewhere in the EU, or for that matter, Poles and EU citizens in the UK, many of whom consider themselves as pawns in the negotiations, so “how will we possibly get any answers from the embassy event”. That said, we feel it important to take part in this event where the embassy have given us the opportunity to discuss and share our views and concerns. Perhaps it’s asking too much to expect the UK or Polish government to follow the lead of the Scottish Government who have pledged to cover any fees, which may be imposed to obtain ‘settled status’, for EU citizens resident in Scotland, working in the Public sector – up to 20,000 EU nationals who work in Scotland’s hospitals, schools, universities and public agencies. What will our status be? How will my state pensions or allowances be affected? Customs and Income tax rules? Visa and freedom of movement fees/requirements?